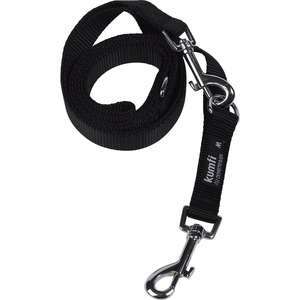 The Kumfi Complete Control Lead has multiple functions to make dog walking and training easier. The Dual Action Control Lead by Kumfi has been designed as a multi-functional training and safety lead and its multiple functions help provide greater control of your dog. 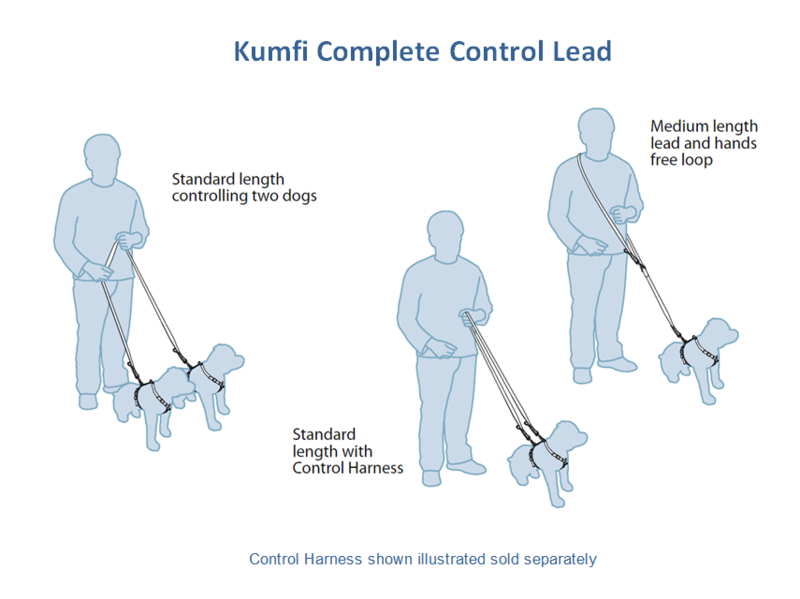 Kumfi's Complete Control Lead also provides a great solution for walkers with two dogs enabling you to walk them both on one lead. 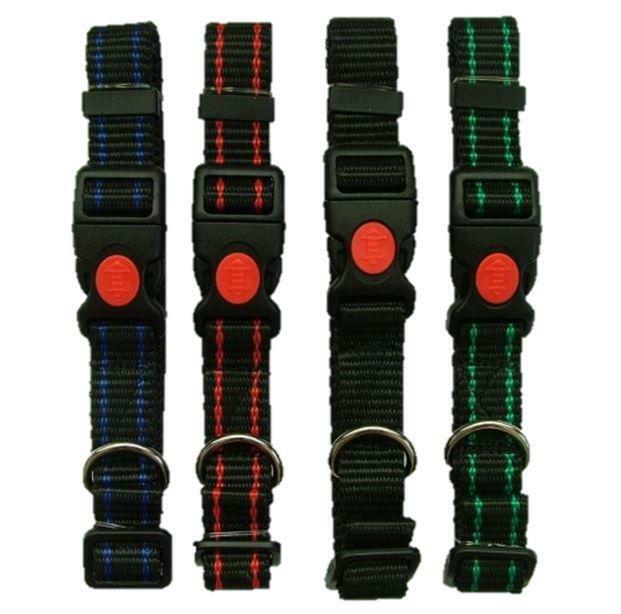 The Kumfi Complete Control Lead is made from high quality soft nylon webbing for comfort, strength and durability. 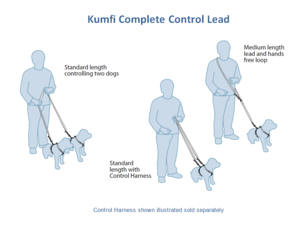 The Kumfi Lead has several functions and great features and can be used with the Kumfi Kombi Collar or Kumfi Complete Control Harness. Long Length Lead - Clip the end trigger hook to the closest D ring to form a handgrip. Medium Length Lead - Clip the trigger hook near to the triple fabric with the D ring furthest away. 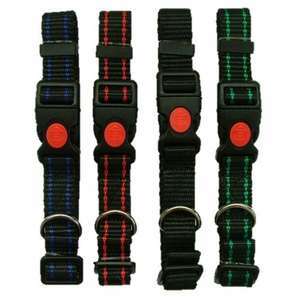 Medium length is ideal for training or walking and allows for hands-free training for smaller dogs. Two Dogs - Clip one trigger hook to each dog and hold the centre of the lead fabric. Tethering - Pass the end trigger hook over, through or around the tethering point. Passing the lead around a post twice will stop it slipping down. Some useful training tips for using your new Kumfi Complete Control Lead. The hands-free format is useful for both dog walking and training. If your dog is walking on your left, put your left hand and head through the lead loop. 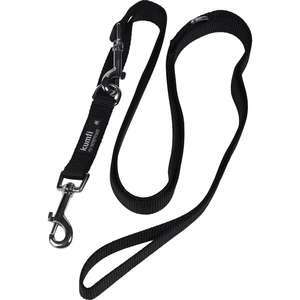 Use the long length for controlled exercise on grass or for general training or teaching the recall or stays. Use the medium length as above if you feel the lead is too long. Use the standard length for normal exercise by holding the triple handgrip with one hand and the double fabric with the other hand. Do not wrap the excess fabric around the hand. Always check that the Complete Control Lead is in good condition before use. 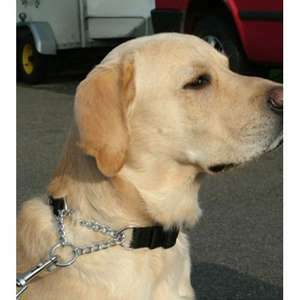 Your pet should never be left tethered and unattended whilst wearing the Complete Control Lead.